What a Property Management Company can do for you? One has to think twice before investing in India. The stats of scams in India are ascending every day. In a country as diverse and big as India, its almost impossible to keep an eye on the market. However, you do want to have some connection to India or take advantage of the “real estate boom”. 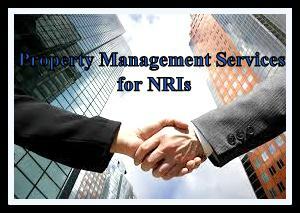 The role of a Property Management Company is to keep your property safe, secure and yield a return on your investment. A property management company should guide you in your buying and selling decisions by superior information which will allow you to gain from the project development and market movements. From maintenance to legal issues and finding suitable tenants to upkeeping the property for you, they should be on your side from the start to the finish. Most importantly, they should give you the faith and inspire trust in themselves, for you to be able to leave your property in their hands. 1) Tenant Search to meet your expectations. 2) Background check of tenant. 3) Negotiation of lease and preparation of all legal documents. 4) Raise rent bills, electricity bills etc. and collect rent on your behalf in a timely manner. 5) Manage tenant move in, construction/renovation of property, painting etc. 6) Periodic personal inspection of property and quarterly updates to you with photographs. 7) Liaison with government agencies and make payments on your behalf. 8 ) Maintain the property, hire on site staff like security guards, gardner etc. 9) Respond to the tenant on your behalf regarding issues ranging from fixing of day to day issues to renegotiation of rent. 10) Provide you peace of mind. Get in touch at info@crem.co.in for further information and to get help in managing your property!